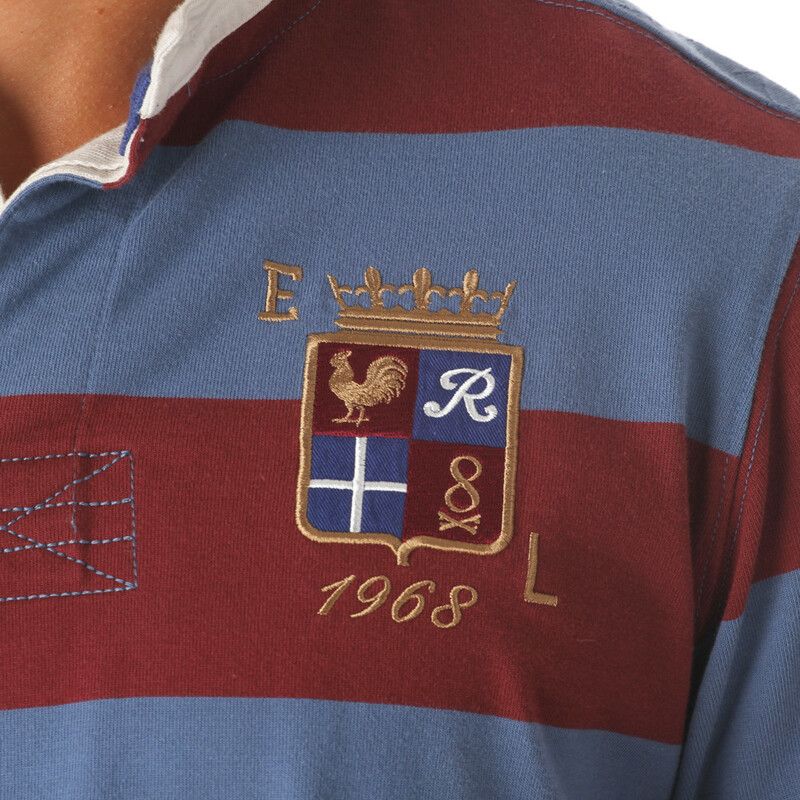 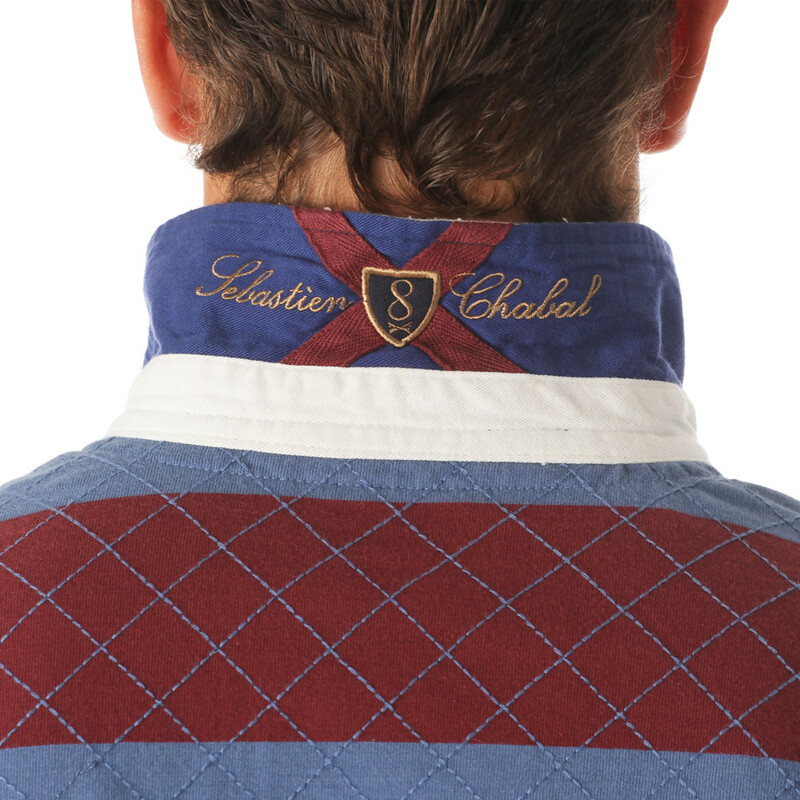 For greater comfort, this two-tone (burgundy/blue) rugby polo shirt is 100% heavy jersey cotton. 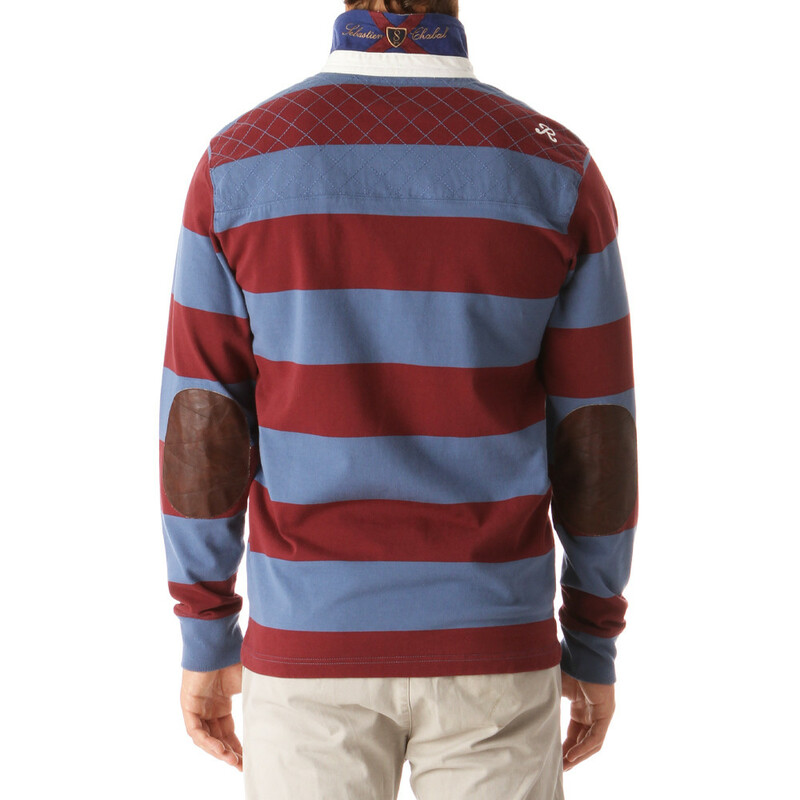 It is reinforced at the elbows by brown leather elbow patches. 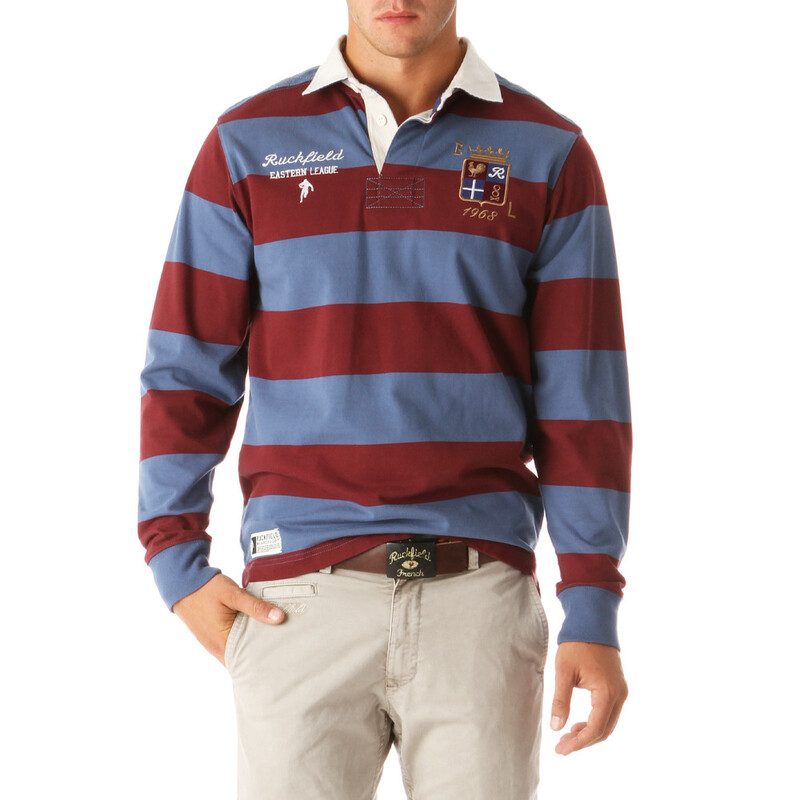 The horizontal stripes remind of the jerseys of our great rugby teams. 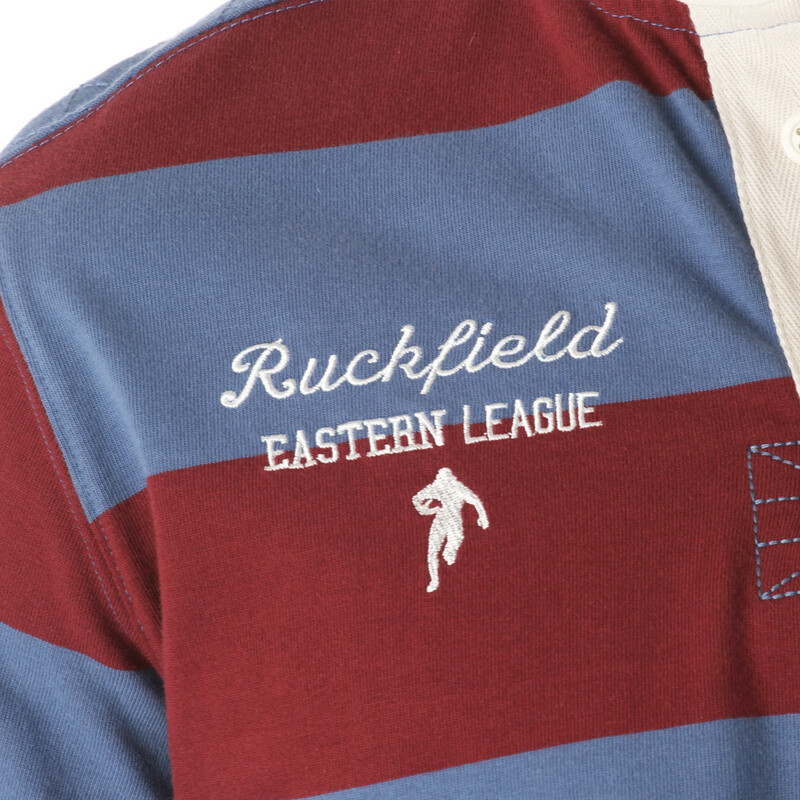 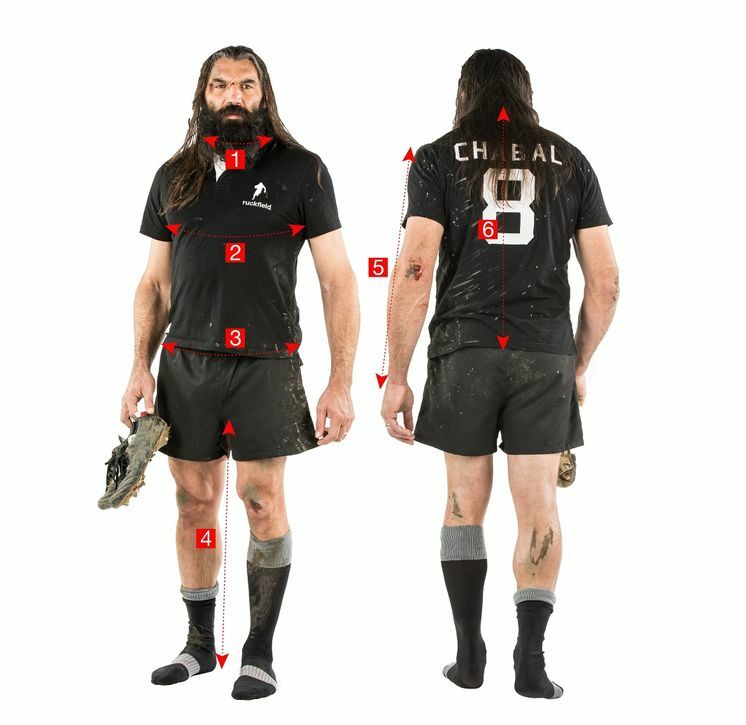 With its white collar, this rugby polo shirt can be worn in any occasion.